Filane's also has a Gas Station and Car Wash located on Highway 17 in Schreiber. If you're passing through Schreiber, this is the perfect stop for you. They have two coin-operated car wash bays as well as a vacuum system. Wash the car or boat clean of all the bugs. 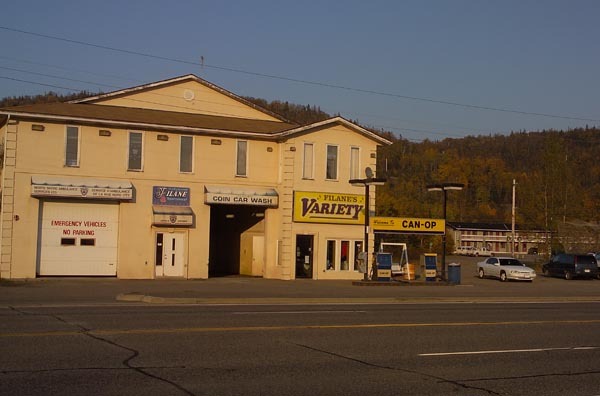 The variety store carries all the essentials that you will need to keep going on your journey such as pop, water, juices, chips, chocolate bars, ice cream plus many more munchies. Also carry cubed ice for your fishing or camping trip. Take a quick break from you journey and have some fun hitting home runs at Dean's Batting Cage located at this location. This batting machine pitches 12 balls per cycle for you to wallop as hard as you can. Kids will love the little break from being stuck in the car.